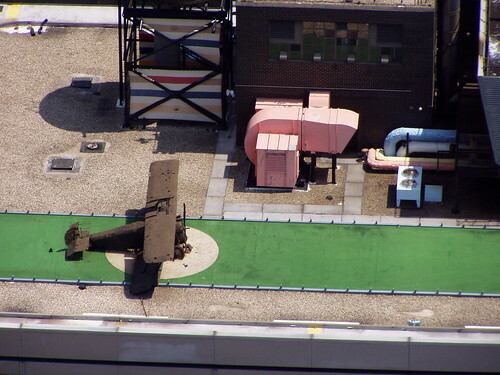 Here is a strange sight of a British WW-I single-seater fighter biplane complete with a grassy runway atop a 26 story, 96 metres high building at 77 Water St, Manhattan, NYC, NY 10005. 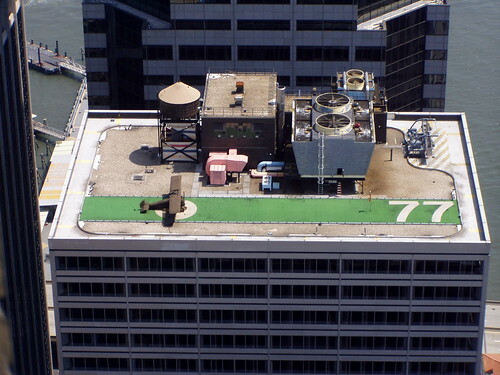 The plane on the roof is a sculpture made in 1969 by William Tarr based on the design of Rudolph de Harak. It's a full-size model of a WW1 Sopwith Camel. 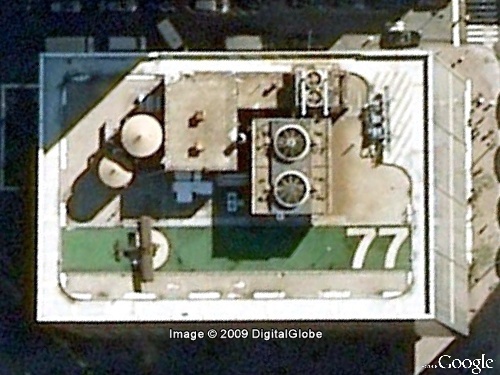 Reportedly it was installed by the developer, William Kaufman Organization.